The fun thing about casting news for Doctor Strange is that, for those who aren’t very familiar with the comics, it all seems really interesting. Benedict Cumberbatch is starring! Tilda Swinton is playing an old magic guy called The Ancient One! However, for people who are deeply invested in the physical appearance of comic book characters, each of these casting announcements has been more distressing than the last. Doctor Strange is from New York, and Cumberbatch is English! The Ancient One is a Chinese man, and Tilda Swinton is neither of those things! Now we have another casting announcement that some people will think means that Marvel is ruining the Doctor Strange movie, and others will recognize as an awesome sign that Marvel is hiring talented actors to elevate what could otherwise be an excessively weird movie about magic guys. 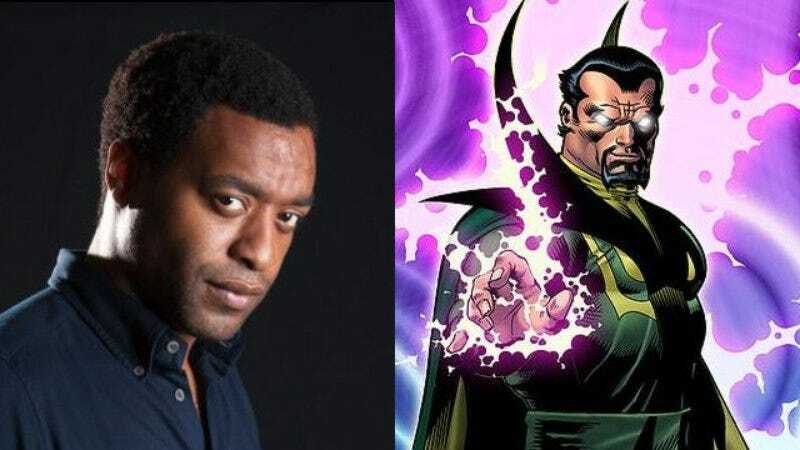 As reported by Deadline, Chiwetel Ejiofor—who we first reported was in talks for Doctor Strange in January—has officially signed on to play Baron Mordo, an early enemy of Strange’s. Mordo is an evil magic guy and a former pupil of The Ancient One. When a pre-magic Doctor Strange discovered that Mordo was planning to kill The Ancient One, though, Mordo got kicked out and Strange replaced him as The Ancient One’s apprentice. That’s the gist of it, at least. We imagine the actual movie will go into more detail. Oh, also, Mordo happens to be white, which is a fact that’s so irrelevant that it didn’t even come up in our thorough Baron Mordo biography in the paragraph above. Ergo, there’s no real reason he can’t be played by Chiwetel Ejiofor, so maybe the internet can complain about something else for once.